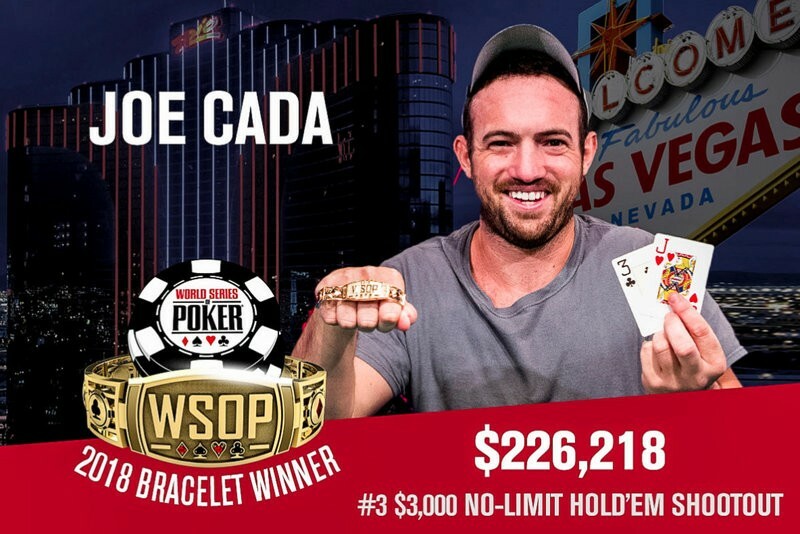 2009 World Series of Poker main event champion Joe Cada has won the third gold bracelet of his career, defeating a field of 363 entries to win the 2018 WSOP $3,000 no-limit hold’em shootout event. 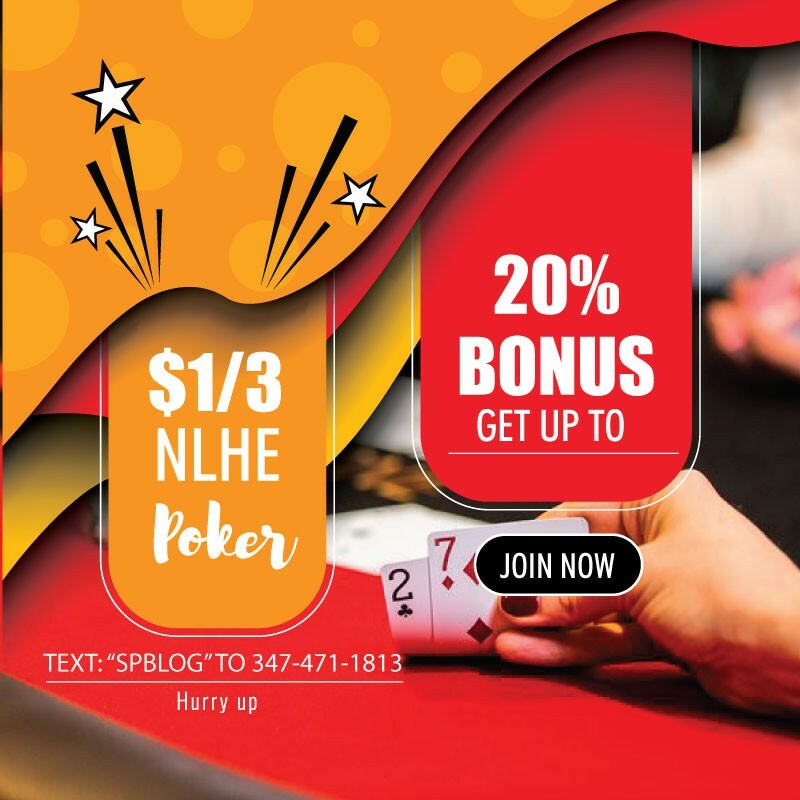 For the win the 30-year-old poker pro from Shelby Township, Michigan took home the $226,218 and 900 Card Player Player of the Year points. This was his fourth largest live tournament score, with his two biggest being his win in the main event for over $8.5 million and his title run in the 2014 $10,000 WSOP six-max no-limit hold’em event for $670,041. Cada now has lifetime live earnings of more than $10.7 million. The shootout format utilized in this event has players essentially play a series of consecutive single-table sit-n-go’s. This year there were 50 players who won their initial table, with each player who moved on locking up a minimum payday of $6,302. Day 2 saw ten five-handed tables play down to winners, setting up the ten-handed final table that returned on Saturday, June 2 at noon. “There’s a much different dynamic at the final table than while playing through the tournament. I just stayed patient and hopefully get a rush of cards at the end, when the blinds were big,” said Cada. Cada was not the only WSOP main event champion looking to score his third bracelet. 2015 world champion Joseph McKeehen also made the final table of this event, and he survived to three-handed play with Cada. The two got entangled in a preflop raising war that ended with McKeehen all-in holding pocket sixes against Cada’s pocket kings. Both players made a set, but McKeehen did not hit the one outer from there to stay alive in the event and was eliminated in third place. He earned $101,766 and 600 Player of the Year points for his deep run. This was his sixth final-table finish of the year already, and he climbed into sixth place in the 2018 POY race as a result. and Cada’s pair held up to earn him the pot and the title. Phillips took home $139,804 as the runner-up finisher.